If you have always thought that puzzle games were fun, but too cheerful and kid friendly, then Slayaway Camp: Butcher's Cut for Nintendo Switch is exactly what you have been waiting for. 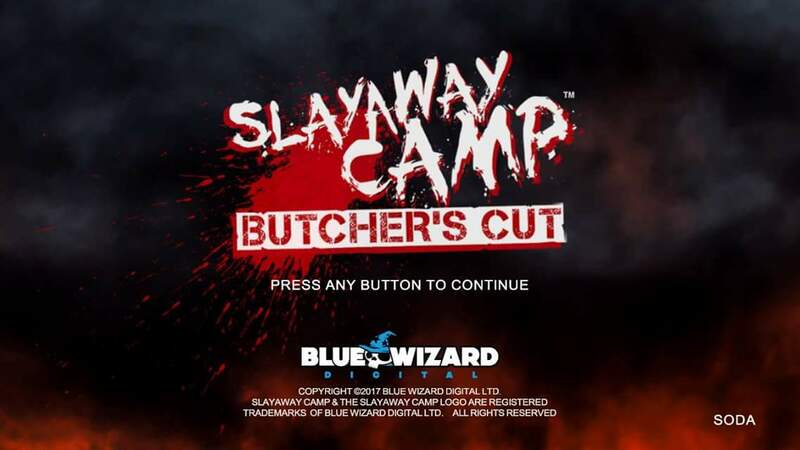 An isometric slider puzzle boasting voxel- style graphics that pays tribute to eighties slasher movies, Slayaway Camp: Butcher's Cut is the most violently bloody puzzle game. 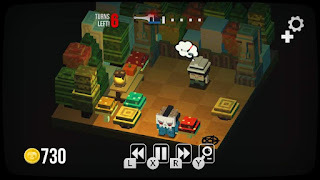 You play as the killer Skullface, and your objective is to slide around the isometric, grid based puzzle boards to slay your victim(s) while avoiding pitfalls and capture by police. When I say slide, I mean exactly that. 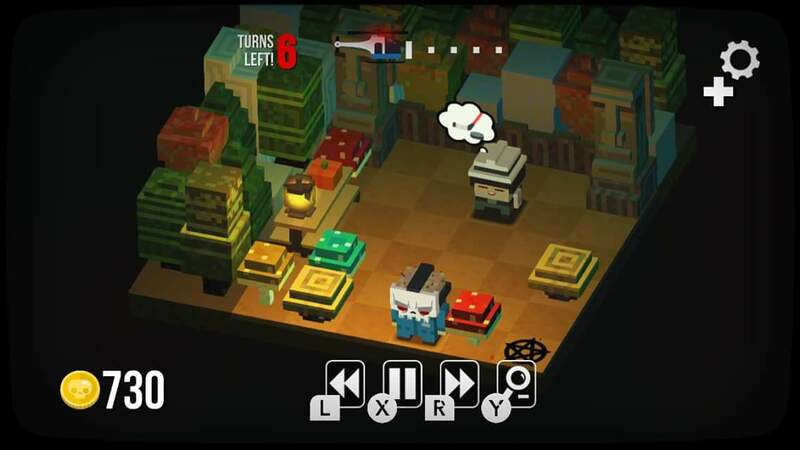 When you select a cardinal direction to move to using your analog stick, Skullface will slide as far over in that direction as he can go before hitting an obstacle. I was reminded mainly of the ice sliding puzzles from Pokemon games while playing this, even though I know that generation 2 Pokemon games weren't the first to use this type of puzzle. So, despite your puzzle boards being on not ice, it has the same physics as the ice puzzles from Ice Path in Pokemon Gold/Silver. 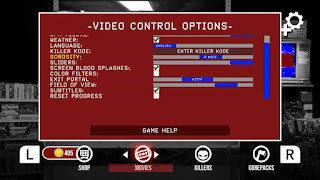 Usually the goal is as simple as slaying your victim, and then making your way to the escape panel. You get some variation on this as you make your way through the game, but it's not really worth noting what those changing objectives are, but these unexpected objectives keeps the game feeling fresh since you're never quite sure what challenge that you next need to overcome will be. 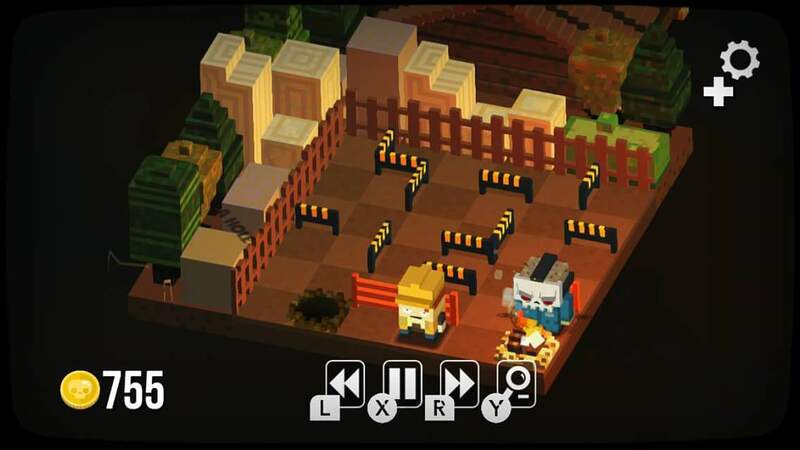 The more interesting part of Slayaway Camp: Butcher's Cut, is all of the unique cutscenes that you get when you make your kills. 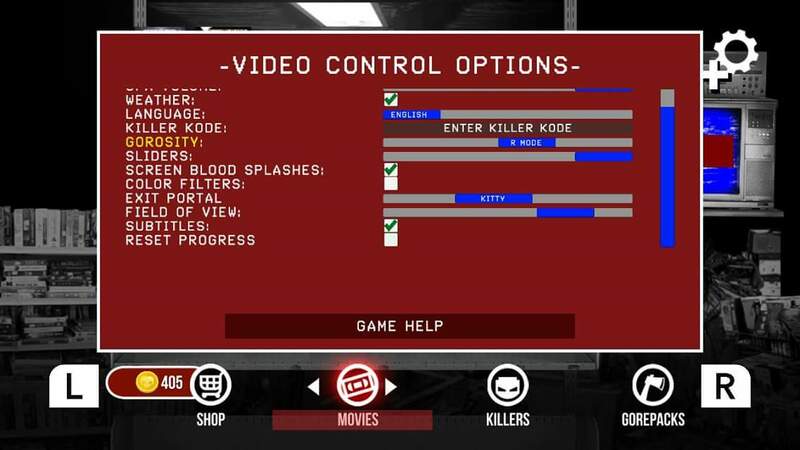 The game is cut into scenes, and when you complete the scene, you are taken to a closeup screen with a slider bar, and pressing the button within the target section of the slider bar will enable you to finish off a victim in a creative way. You will do things such as rip people's arms off, saw off the top of their head, stick an axe in their face, or pepper their bodies with nails from a nail gun. All of these cheesy, over the top death scenes styled after the campy classics of the Reagan-era can be relived from the main menu after they've been unlocked. 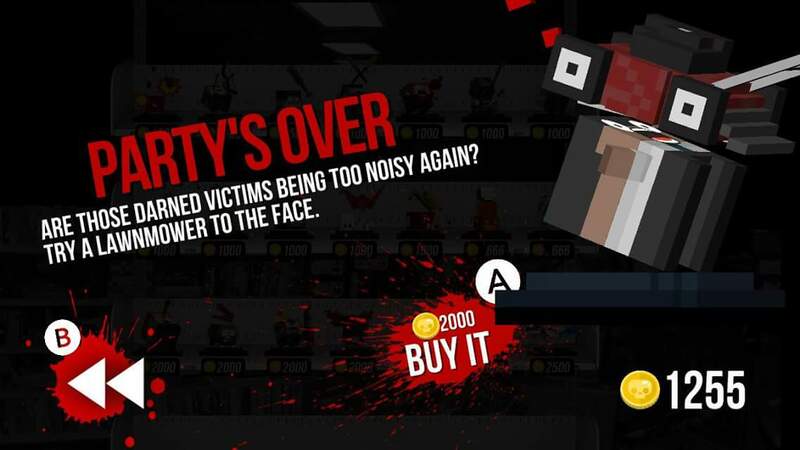 This flavor and attention to bloody detail is what makes Slayaway Camp really stand out for the avid horror fans among us gamers. 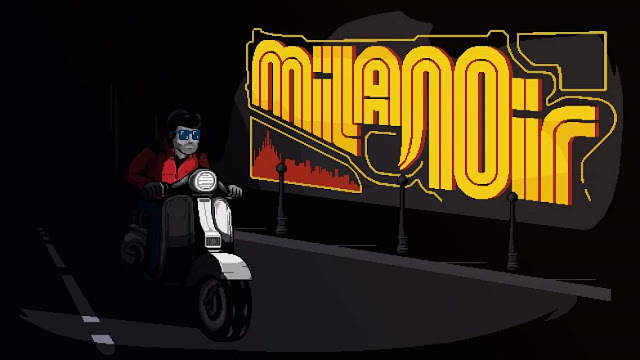 Even the main menu of the game looks like a video rental store, and pulling up the options menu looks like you're tweaking the menu settings on a late eighties style television. Slayaway Camp: Butcher's Cut for Nintendo Switch captures all of the content from the original release of the game, plus even more killers and death scenes to unlock. 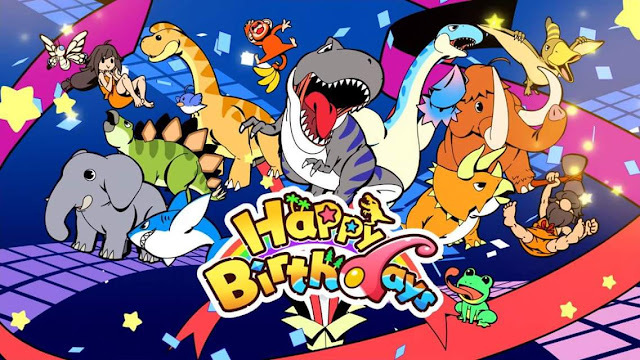 The game offers over 300 puzzles to play through, and they're bite size solutions and touchscreen controls make this perfect for short bursts and playing on the go. There is even the ability to turn off blood for those that dislike blood, but still want to enjoy the cleverly designed puzzles. Overall, Slayaway Camp: Butcher's Cut offers a unique and highly flavorful take on the puzzle genre, and has a lot of great content to offer in the form of both it's puzzles to be solved and it's entertaining collectibles.